Gavan Dynamic! Bandai's official youtube channel has finally released the official promotional video for Tamashii Lab's 1:1 scale Gavan Laser blade as promoted by the legendary father of the Metal Hero franchise himself, Kenji Ohba! This replica of Gavan's main close quarter combat weapon will have light and sound features just like in the TV series and will also have a pair of display stands shaped like human hands and will be suitable for your Gavan shirne or for Gavan Cosplayers (ehem again, like yours truly). 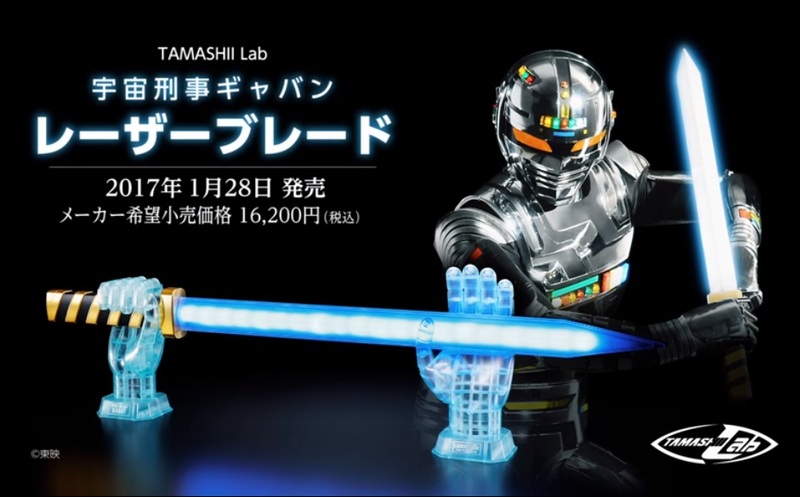 The Tamashii Lab 1:1 Scale Replica Gavan Laser Blade will cost 16,200 yen and will be released in the first month of 2017.